In Case You Missed It: Video Of Gabrielle Giffords Leading The Pledge : It's All Politics The former congresswoman's appearance at the Democratic National Convention was an emotional moment. It was, as Eyder wrote Thursday night, "one of the convention's most emotional moments." So here, in case you missed it, is a video clip of former Arizona Congresswoman Gabrielle Giffords leading her fellow Democrats in the Pledge of Allegiance. She continues her recovery from a gunshot wound to the head, suffered during a January 2011 attack on a meet-and-greet she was hosting in Tucson. Six people were killed. Another 12 were wounded. 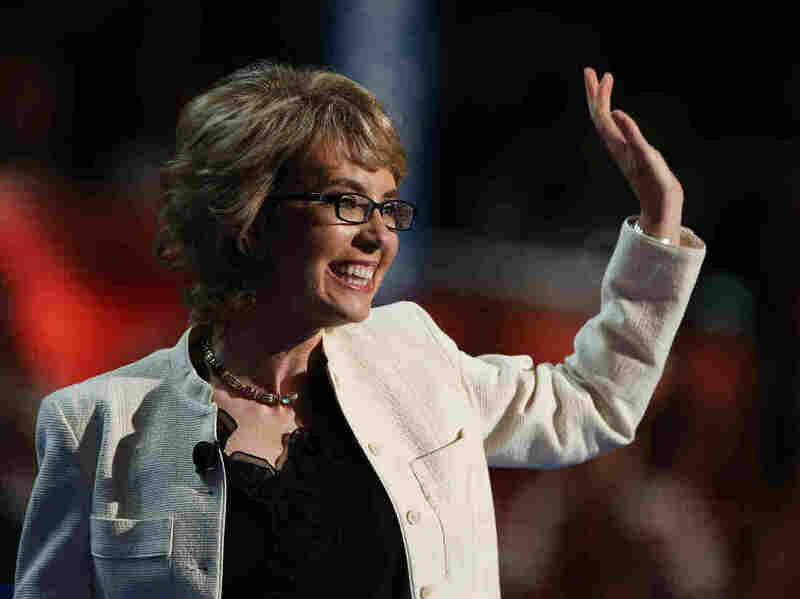 Former Rep. Gabrielle Giffords, D-Ariz., waves to the delegates at the Democratic National Convention.